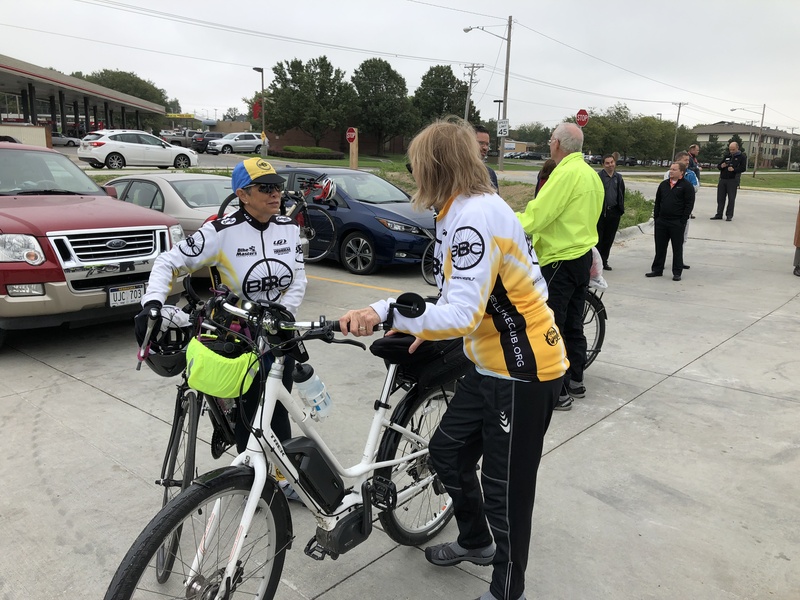 On October 2, 2018, the Papio-Missouri River Natural Resources District and the Cities of Omaha and La Vista celebrated the grand opening of a new three-mile stretch of the West Papio Trail in Millard that links west Omaha to the Bellevue area. The new segment creates a 130-mile network through Douglas and Sarpy Counties that’s been more than 25 years in the making. 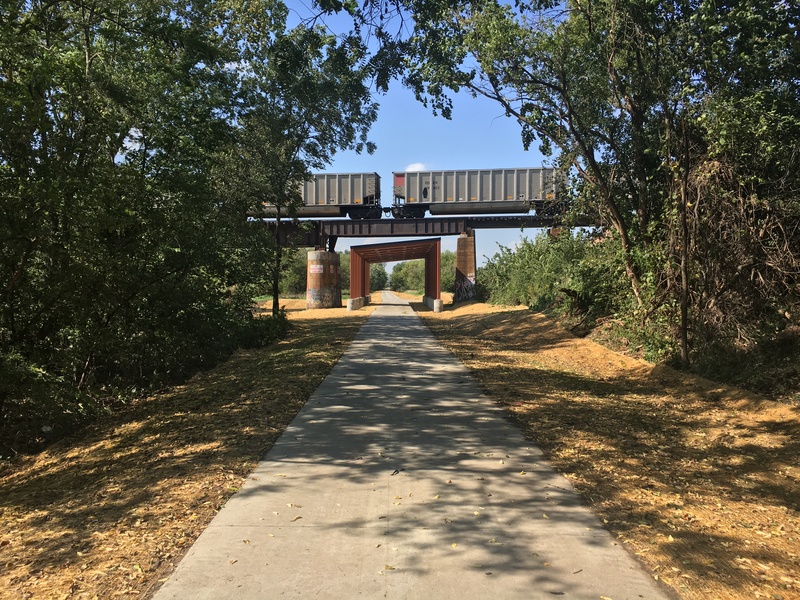 The West Papio Trail addition connects the existing trail at 108th & Giles Road to the new Lumberyard District at 132nd & Q Street. While technically small in size, the connection provides tremendous recreational opportunities with historical significance by connecting Millard and west Omaha to La Vista, Papillion, and Bellevue – stretching down to the Missouri River by a continuous dedicated trail corridor. 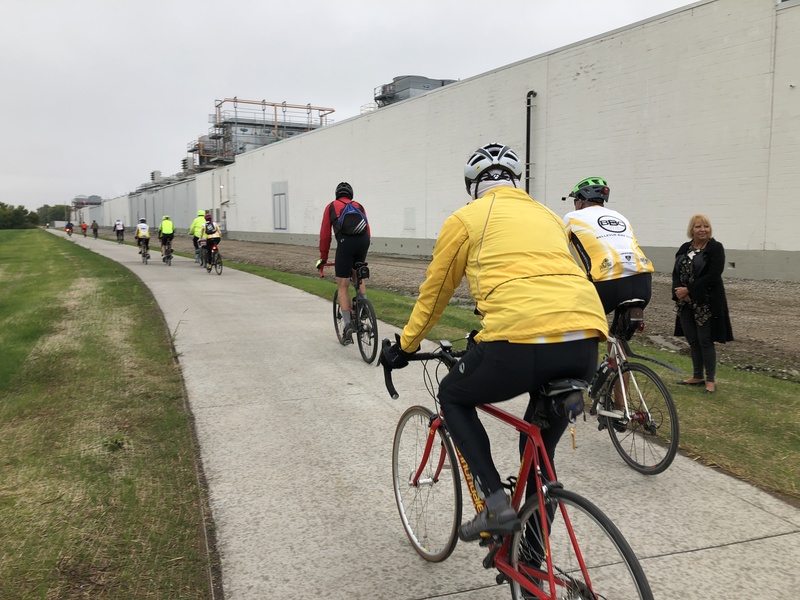 “This regionally significant and boundary-breaking project provides expanded recreation, active transportation for Omaha metro residents, and increased access to natural resources,” said Eric Williams, Papio NRD Natural Resources Planner. “The Papio-Missouri Natural Resources District was fortunate to partner with the Cities of La Vista and Omaha in the design and construction of this milestone project,” said Williams. Bellevue Mayor Rita Sanders is an avid cycling enthusiast. “Today we celebrate the extension of the West Papio Trail which connects with La Vista,” said La Vista Mayor Douglas Kindig. “Projects such as this one are not possible without partners and cooperation between different entities. The completion of this project will improve the quality of life and provide a valuable amenity to our citizens,” said Kindig. The trail expansion follows the original stretch of the former Union Pacific transcontinental railroad. 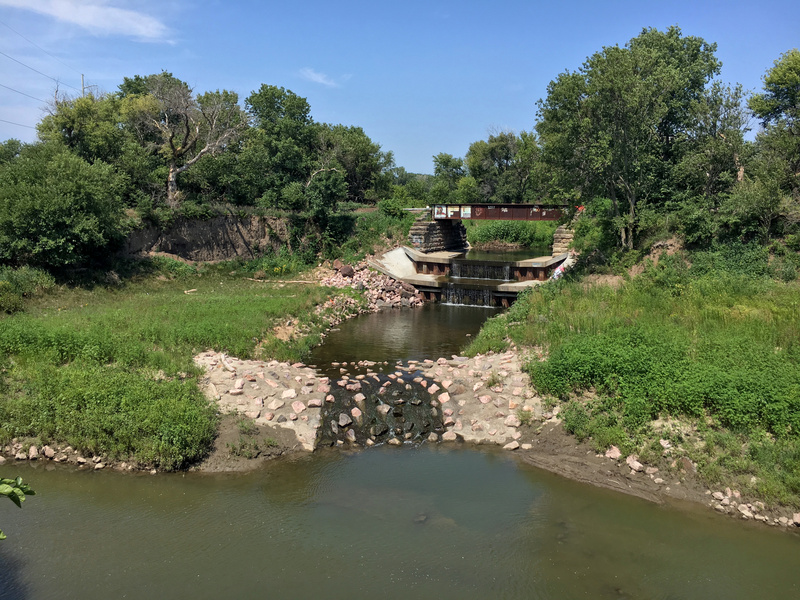 The Papio NRD was able to restore all of the old bridges that will now be used as trail bridges. National “rails to trails” efforts are focused on reusing abandoned railroad property for multi-use paths, allowing long, flat corridors to become community focus points and preserving the history of railroad infrastructure. 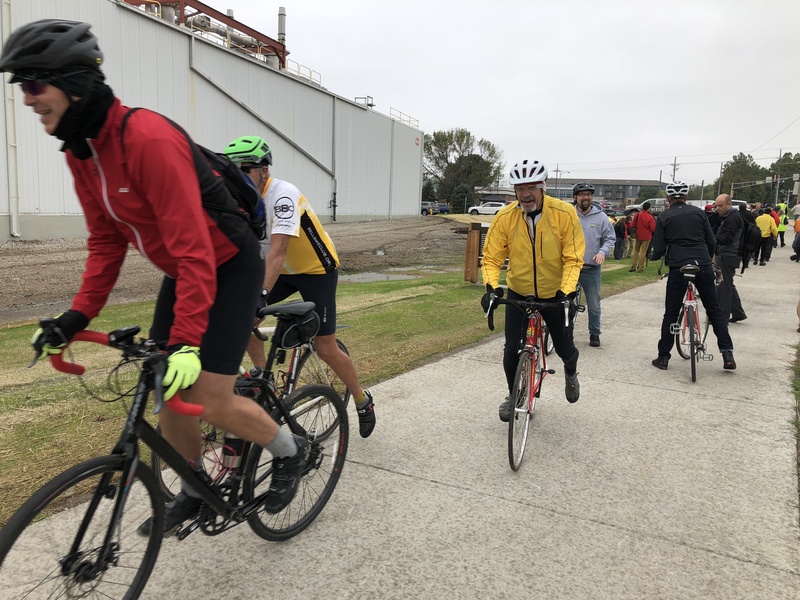 As the most well-known railroad in America, this new section of trail highlights the natural geographic features, incorporates transportation and commerce history, and connects communities just as the railroad did nearly 150 years ago. 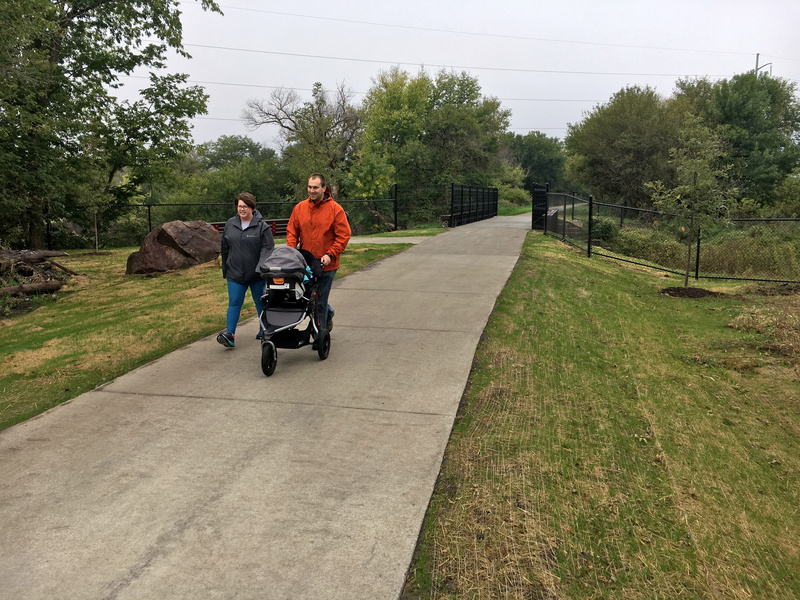 The West Papio Trail expansion project cost $3.2 million, with the Cities of Omaha and La Vista each contributing 20 percent of the cost.